Ag Nutrition: Better plants, better results. As the sole U.S. source of Ergro products, Ag Nutrition provides plant nutrition suitable for use in all crops grown in the U.S. Ergro products have shown remarkable success on crops ranging from avocados to zucchini with impressive results in residential and recreational applications, too, including lawn care and golf courses. Greenhouse growers have recently adopted and embraced Ergro products, recognizing the performance improvement properties that lead to better quality fruits and vegetables. If plant health is important to you, consider the benefits of Ergro products. Ag Nutrition is based in the heartland, with corporate offices and distribution HQ located just outside Indianapolis, Indiana. This central location helps Ag Nutrition service clients across the U.S., delivering products to growers of all crops and of all sizes. 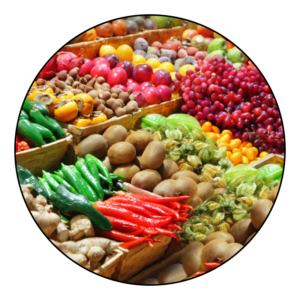 Ag Nutrition, in conjunction with Ergo, has a team of professionals dedicated to helping growers get the most from their investment in in all kind of crops (grains, fruits, vegetables, ornamentals and flowers). come in liquid, semi-liquid and solid formulations. allow nutrients to be better assimilated by plants. nourish plants with necessary elements for each stage of the crop – growing, flowering, fructification and maturity. contain traditional fertilizers (N, P, K and micronutrients) plus Fulvic acids derived naturally. Fulvic acids are the best chelating and translocation agents for nutritional elements. include Fulvic acids with an acidic pH which is better for nutrient application and assimilation. are available for soil and foliar application. enhance efficiency of granular fertilizers and the water soluble fertilizers. are enriched with biological growth promoters, which enhance the growth of hormones present in the plant to help them grow stronger, yield more. generate fast response almost immediately after application. are compatible with most other agricultural products, including herbicides, pesticides and fungicides. improve plant strength, enabling plants to better resist adverse conditions such as blight, illnesses and adverse weather conditions. have organic moisture retaining benefits, which optimizes water use. help produce products with a longer shelf life, better flavor and aroma and more intense colors. increase sugar content in fruits. Established more than 25 years ago, Ergo has developed technologies that allow them to provide a range of soil and foliar nutrients based on naturally produced fertilization. Ergo was founded in 1988 by Rafael Funes, an Agronomic Engineer with a long track record in the agricultural world. Rafael’s career includes stints at Bayer and Union Carbide, where he spent 28 years. Rafael was joined by his son, Alfonso Funes, whose background in engineering, business, science and management enabled the company to grow to serve markets in Central America, Mexico and the U.S. Alfonso worked as a management consultant in Dallas, Texas, while today he oversees administrative, finance and marketing for Ergo products. Ergo is dedicated to improving plant nutrition through research and production of soil additives that help crops grow better. 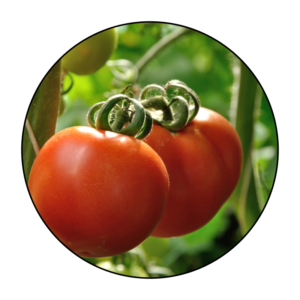 Ergro products help plants produce higher yields, withstand stress and produce higher-quality results. Fruits and vegetables look and taste better, row crops deliver higher returns on investment and field use results in heartier, more healthy grasses. Ergo has earned the support of the Research Department of the Chapingo University, Mexico City, to evaluate and certify all Ergo Products. Ergo offices are located in Mexico City, with additional locations throughout Central America. Ag Nutrition is the exclusive North American distributor of these products.